Stereo Barn wants to make enjoying your favorite movies and shows as easy as possible for you. We created theater system packages that will simplify your home entertainment. 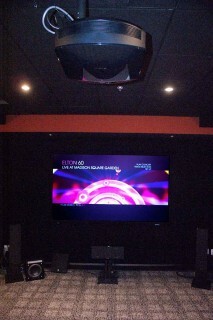 Get a complete home theater system package installed in your home for the price of $7,999. This system includes everything you need for a cinema-quality experience at home. Each package comes with a projector, screen, surround sound receiver, speakers with subwoofer, programmed universal remote, Blu Ray Disc player, cables, wires, installation, and education. Education on how to use your system. For more information about this package, please email nick@stereobarn.com with the subject, “Complete Home Theater System” or call Stereo Barn at (610) 678-2122.